Photo above: Happier times: Senate President Mike Miller, Gov. Larry Hogan and House Speaker Michael Busch. Gov. Larry Hogan will have plenty of reasons to face off with House Speaker Michael Busch over spending and policy issues in the next four years. But why the Republican governor chose to pick a fight with the Democratic leader of the House of Delegates on Friday make little sense. On Thursday, Hogan had already ticked off Democratic lawmakers, teachers and a host of education advocates by rejecting their pressure to give public schools $68 million more. Hogan said he wanted to use the money for the pension system, reversing a $75 million cut the legislature had made. But Hogan can only find that money in a roundabout way at the end of the year if there’s a surplus. It’s a legitimate policy difference — school funding now versus the need for more pension funding later. Democrats see it as shortsighted; Republicans see it as fiscally prudent. It is consistent with Hogan’s goal to get control on spending now and in the future. Friday, he got personal with Busch, cutting a $2 million project for Maryland Hall for the Creative Arts in Annapolis. Busch has long been a legislative patron of the hall, the former Annapolis High School not far from his home. The building has been transformed into a theater, studio and performance areas. 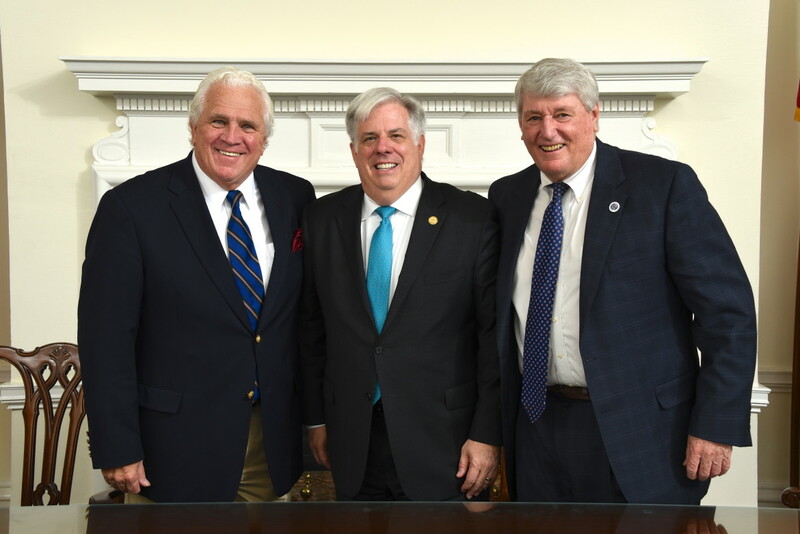 Hogan said he would use the $2 million to reopen the Annapolis barracks for the State Police and add 100 state troopers for a total of $8.2 million that Hogan had proposed in a supplemental budget. Contrary to traditional practice, Busch did not permit that budget addition to be introduced in the closing days of the session. The governor’s explanation makes no sense as even his press release makes clear. The $2 million for the Maryland Hall was in the “Maryland Consolidated Capital Bond Loan of 2015, also known as the Capital Budget.” That money was going to come from 15-year bonds the state was going to float, not from current revenues, so cutting the project simply reduces the state’s future debt. Hogan will have to come up with $8.2 million from somewhere other than bond loans yet to be floated. Hogan has never really made a persuasive case of why State Police ranks need to grow by 6%. UPDATE 5/20, 11:30 P.M. But an interesting twist has gone unnoticed: Gov. Hogan’s original capital budget (HB71, page 21) had proposed spending $500,000 on the Maryland Hall for the Creative Arts. The House Appropriations Committee added an additional $1.5 million (Amended HB71, p. 21), quadrupling the amount of the grant in the House speaker’s district. While some Republicans on social media have been cheering Hogan standing up to Busch, the action actually does little harm to Busch, but reinforces his stature among fellow Democrats as a foil to Hogan’s plans. Hogan’s pique is directed at Busch, but it’s actually the constituents of both men who lose the benefit of renovations at Maryland Hall. Hogan also seemed to be making a mistake made by Gov. Bob Ehrlich, who turned Mike Busch from a policy foe into his personal nemesis. Busch is never going to be a fan of Hogan’s policies, but turning their differences into a grudge match undermines Hogan’s ability to govern in a bipartisan way.